followed by a get together with Latvian hockey players. 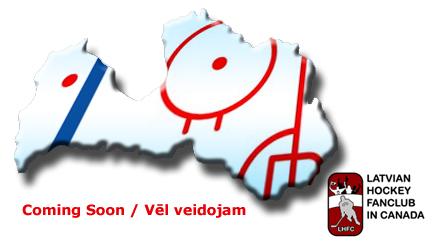 match-ups that may interest Latvian hockey fans. easier in Ottawa,Montreal, Halifax and British Columbia. boisterous while the rest of the fans just sit and applaud. no membership cards, and therefore no membership fees. with SIGN ME UP in the subject line. © 2009-2010 Latvian Hockey Fanclub In Canada. All Rights Reserved.